The nautical theme is a classic go-to look for summer. But if stripes make you seasick and navy's not your favorite color, you still have options. 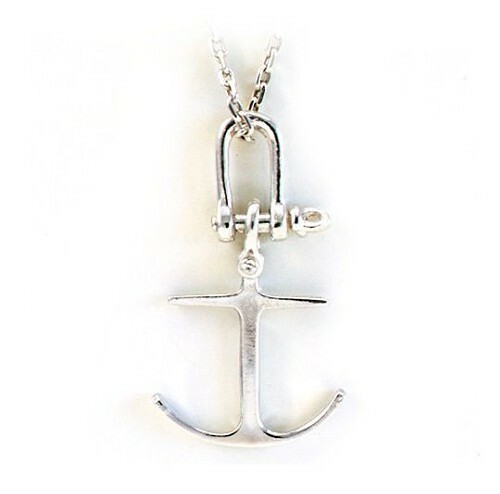 The anchor is a simple, timeless, and elegant motif that can be adapted across the style spectrum. M and B Vintage's sterling silver pendant, above, is a re-creation of a vintage find. Two inches long, it's a nice substantial size and comes on a 24-inch-chain. $340 at mandbvintage.com. 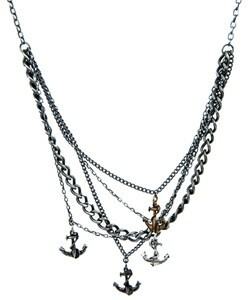 With its sooty layered chains, the Dark and Stormy Night necklace has Goth overtones. Max and Chloe necklace, $125 at maxandchloe.com. Nautical doesn't have to mean preppy. The anchor goes street on a tough muscle tee. Chaser NYC muscle T-shirt, $42 at singer22.com. 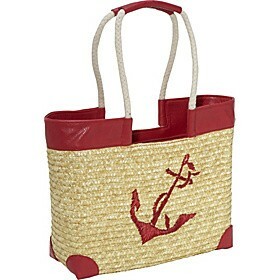 Take the anchor to the water with the classic straw beach bag. Straw Studios Vanessa bag, $57.60 at ebags.com. 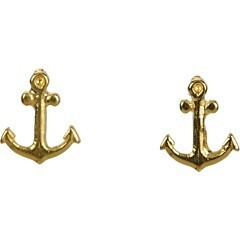 Or just go super-simple and demure with tiny gold-dipped studs by Dogeared Jewels, $36 at Zappos.com.